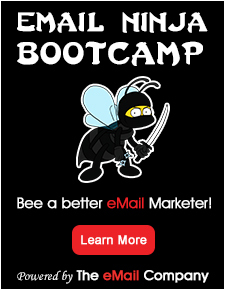 Elite Email is a leading provider of do-it-yourself email marketing solutions. Through user-friendly web-based controls, customers can easily create professional email marketing campaigns in minutes with just a few clicks. No technical skills required! The Elite Email all-inclusive email marketing solution empowers small and medium sized businesses with the tools they need to effectively manage their contact list, create attractive & effective emails, and track their success with real-time detailed reports and stats. Elite Email is a truly international solution servicing the email marketing needs of customers around the globe. The do-it-yourself solution is ideal for the small and medium sized business that simply want powerful results quickly & easily, while our enterprise solutions are targeted towards larger organizations. Elite Email works with businesses and organizations across a wide range of industries and fields including restaurants, retail outlets, travel and tourism companies, consultants, real estate agents, doctors, lawyers, online retails, hotels, financial and legal services, personal services, sports associations, religious institutions, and more. Elite Email proudly supports many nonprofit and charity organizations with their email marketing and gives them special discounts. We believe in giving back to the community. At Elite Email, our goal is to not only meet your expectations, but vastly exceed them. Whether you are a first time email marketer or a seasoned veteran, our cutting-edge and easy to use tools put you in control. Our email marketing solution was created by listening directly to the comments of small business owners in an effort to create a complete suite that allows you to achieve your goals and objectives. Our staff take pride in not only answering your questions, but going the extra mile to help make you a better email marketer. Each customer is assigned a dedicated Account Executive who will provide one-on-one coaching to ensure your success. At Elite Email, our personal touch to customer service sets us apart from the competition. Customers can get help over the phone, through email, or via a live chat. Although Elite Email has won many awards, our work is never done. The program is under constant development based on the feedback of our users. We don’t just listen to user feedback, we act on it and are always building new functions and features that are instantly available to all customers. Elite Email lets new customers send 1,000 emails as part of our free trial with absolutely no time limit and no restrictions. We want to make sure you can experience everything our email marketing solution has to offer with absolutely no risk and no pressure. Once you absolutely love it, then we look forward to having you as a loyal customer.